In My Creative Opinion: It's Christmas! Ohhhhhhhhh these are all wonderful!!!!!!!!!!!!!!!!!! Your cards are all so adorable (that shaker card.... swoon) and so was this kit! Echo park is one of my favorite lines of paper and this selection of paper is just darling. 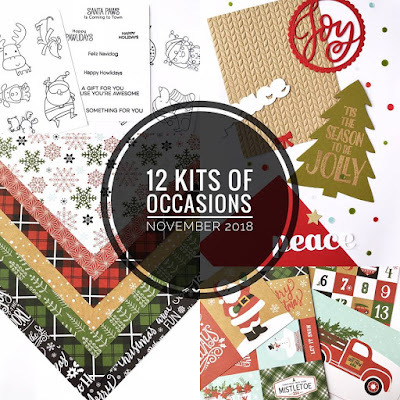 Your kit was just what I needed to help me get through my Christmas card list. Thank you Tracey for such a sweet kit! May all of your days be merry & bright! Just gorgeous Tracey! I love the vintage looking Christmas colors! Tracey, your Kit was just like Christmas... the anticipation was well worth it! So packed with fun - to borrow your phrase: our cards made themselves! All wonderful, Tracey! The shaker is gorgeous! Love the combo of papers together! Have to say, I made good, good, use of your kit! Came in handy for the grandkids! Hugs, and thank you! All the cuteness in one place! Darling Kit,and fabulous cards Tracey. Your kit was just the perfect thing to arrive in my mail! I loved it so much and it was such a big help for me as I was late getting cards made. Each of yours is fabulous--love all your sweet designs! The Echo Park papers were wonderful. And I was so happy to see the pup images--my favorites. Thanks so much for a wonderful kit! Hope you and your family have a very blessed Christmas!! Oh, these are wonderful! There's something about the two Santa cards that tickle my fancy, but they're all a delight. Your kit was well worth the wait. I had so much fun with it, thank you!! So perfect for Christmas. Beautiful. 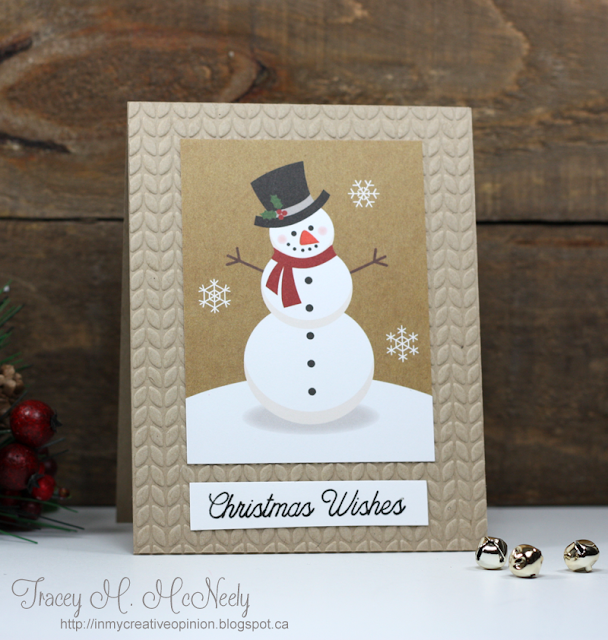 Tracey thanks for this beautiful kit filled with so many good things.. pretty papers, gold embossing and all good things ! I love the cards you made..especially that shaker - it's absolutely magical! Oh, wow. What a wonderful batch of cards. I really love the jumping santa with the dog and the perfect 'joy' sentiment to go along with that scene. Thanks so much for including me this month as your guest. I had so much fun with this kit. Thank you for such a sweet Christma kit with so many pieces of patterned paper. Im sorry it was such a hard time for you to mail them out. Each of your cards are absolutely darling! 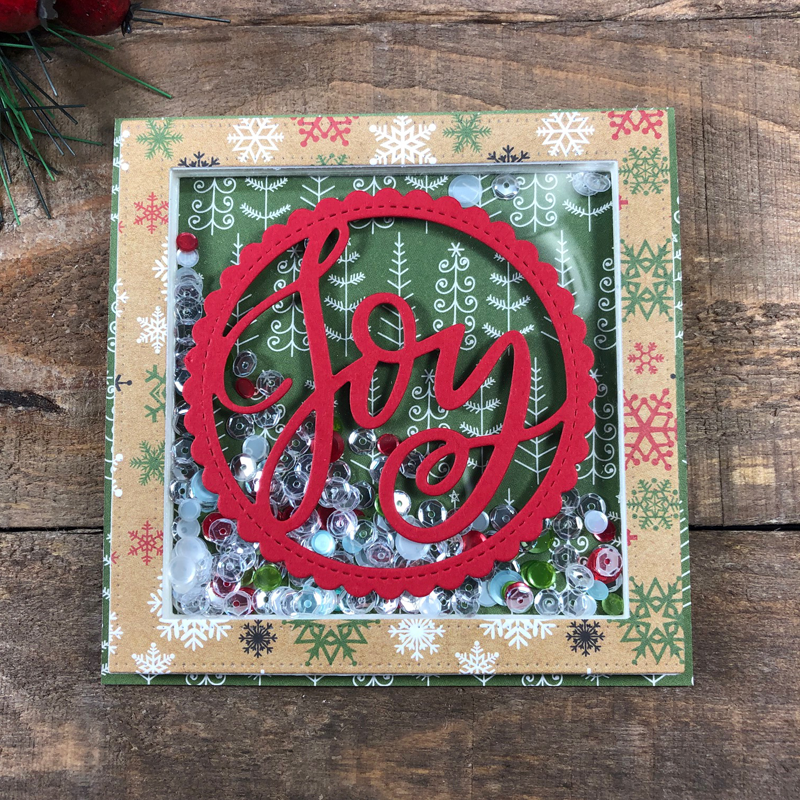 As always I love the clean look and can't wait to make a few more with your kit , they will be easy to mail ( not too thick) I love your Santa card! Tracey, you are such an amazing talent! These cards are just gorgeous!!! 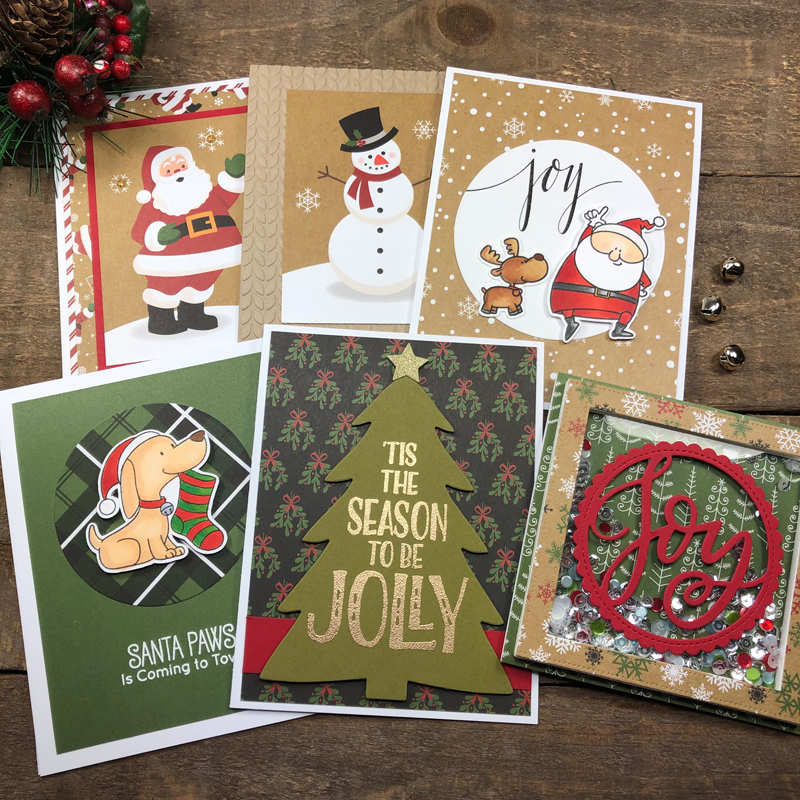 Six simply beautiful and incredible Christmas cards!!! Love them all but your second card with that sweet puppy just steals the show. This was one fabulous kit, so many wonderful images and all the gorgeous patterned paper! Thank you so much for such a fun and festive kit!!! Merry Christmas!